Grosvenor Place is advantageously positioned for both work and life between Sydney Harbour, The Rocks and Circular Quay. Located at the northern gateway to the CBD allows Grosvenor Place to benefit from incomparable 360-degree harbour and city views. Grosvenor Place enjoys a highly connected location. Public transport is located nearby with train stations within a short walking distance at Circular Quay, Wynyard and Martin Place. Grosvenor Place also grants easy access to the ferry and bus services at Circular Quay. The NSW Government has begun works on the new $2.1 billion light rail line which will connect Grosvenor Place to Randwick and beyond via a stop on Grosvenor Street, across the road from the building. The first section of a newly pedestrianised George Street is due to open in 2017. All of this means reduced commute times for employees working in the building. Cycle ways branch out to Grosvenor Place where the new end of trip facilities, Camerino, refresh a cyclist’s journey in prestigious style. 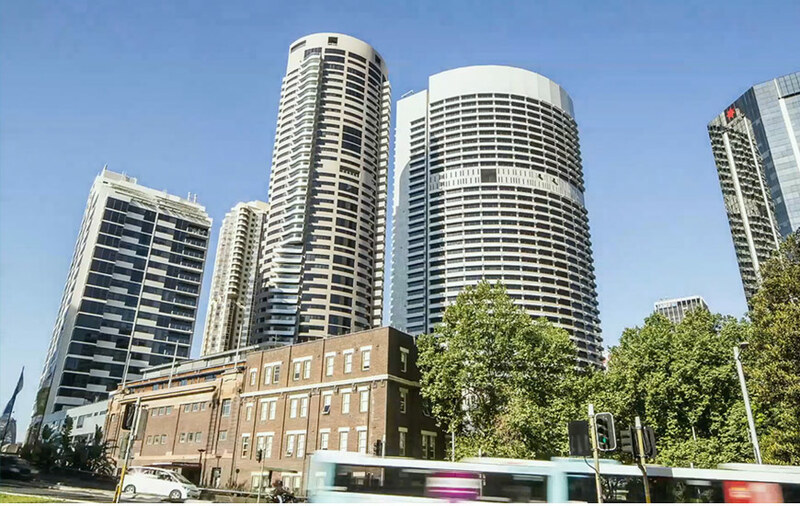 The building has convenient vehicle access and road links to the northern suburbs via the Cahill Expressway and the eastern and southern suburbs via the Eastern Distributor. Five levels of basement car parking provide 500 car parking bays. In Harry Seidler’s words, Grosvenor Place was designed as a, “camera on the view …” of Sydney Harbour. The building’s low, mid, high rise and skyrise levels all benefit from floor to ceiling glass windows and truly magnificent views, which are increasingly spectacular as the building rises. Maximised by the elliptical design, northern orientation and full length glass windows, the building’s stunning northern aspect takes in Circular Quay, The Rocks and Sydney Harbour. To the south, commanding views are also on offer down George, Pitt and York Streets.